A European doll that’s cute as a button, and extremely huggable to boot? Yep, we’ve found it. 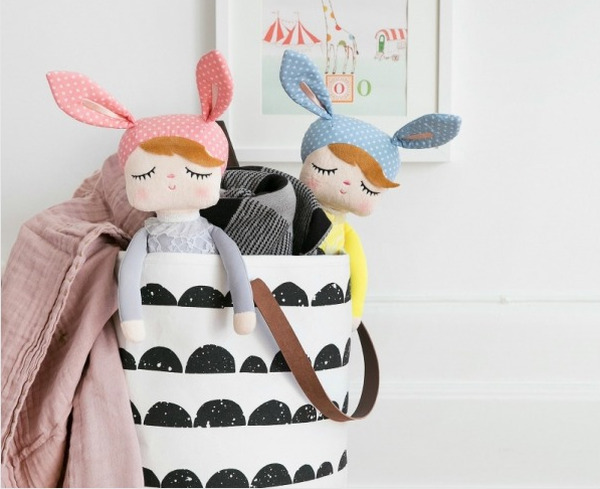 Those Scandinavians have done it again – this time with these gorgeous Swedish dolls called Kanindocka from Miniroom. If their strokeable plush fabric and sweet little sleeping expressions don’t get you, I guarantee their cute little ears will. 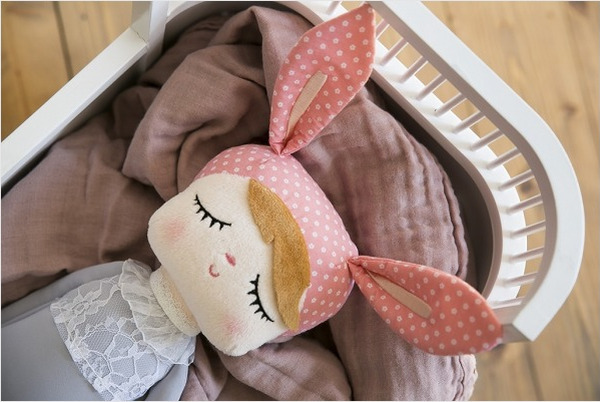 This is a lovely little plush doll that children are sure to love. 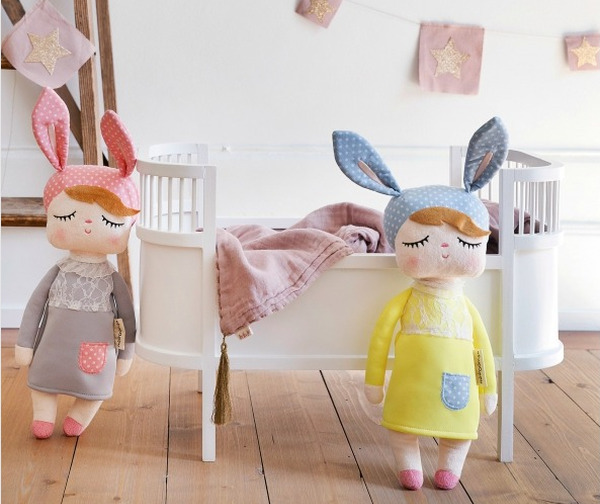 I really love the soothing range of gorgeous colours in these dolls – they look so peaceful! You can pick up the Kanindocka dolls from Cozy Kidz for €35.90 each. It looks as though they don’t routinely ship outside of Europe, but if you don’t know anyone who can send it along to you, it’s worth getting in touch with Cozy Kidz to see if they’ll post it anyway. They are available in three different colours – mint green, blue and yellow, or pink and grey.